Jale Berahimi is the inspiration behind Costa Rica’s World Cup success. 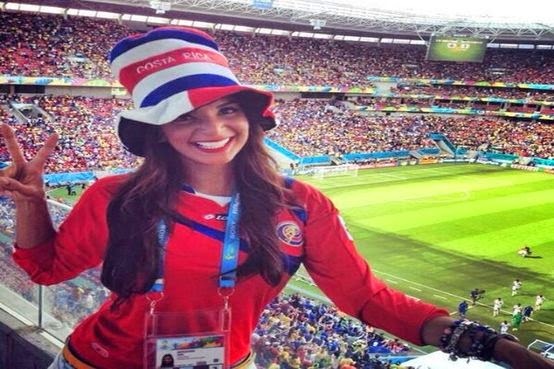 Jale Berahimi is a reporter covering the 2014 World Cup in Brazil for a Costa Rican TV station, and perhaps she is the muse inspiring her country to the incredible success they have had this year. The 28 years old journalist, who is also a model, is turning heads at the World Cup and she is a strong candidate of muse of the tournament. In her days off, Jale likes to share pictures on social media that she has taken while in Brazil and show her incredible body off.